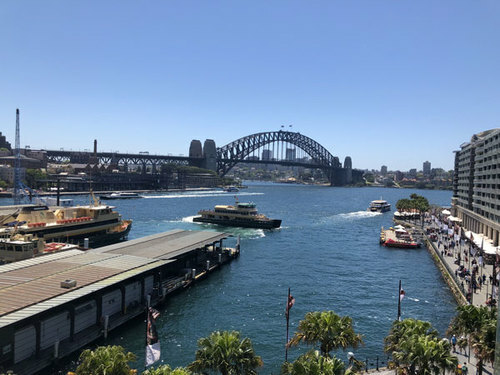 After the NSW Government's announcement of the project, the iconic Circular Quay ferry wharves are expected to be upgraded by 2025, with the current budget standing at $200m. This work aims to create a more accessible space for every customer and prepare the area for an anticipated increase in demand for ferries. The initiative is to be the beginning of an overall rejuvenation of the wider Circular Quay area, which will be in partnership with private firms. Opportunities to strengthen Sydney’s economy and contribute to growth in the tourism market. Upgrading the ferry wharves is critical to the long-term functionality of Circular Quay. With significant private sector investment in adjoining areas, it also provides an opportunity to leverage the Government’s contribution and private sector capital to deliver a whole of precinct renewal solution. A variety of upgrade, renewal and redevelopment concepts are being considered for the Circular Quay ferry wharf and precinct renewal developments. During Phase One, a structured market engagement process is being used to collect information on ways to make Circular Quay a more vibrant area. Phase Two will commence this year (2019), offering two urban renewal and infrastructure consortia the opportunity to progress and refine their ideas in a competitive process. Due to the technical nature of the project, difficult site conditions and high demand for talent in Sydney, the renewal of Circular Quay will need to tap into talent pools across engineering, construction and infrastructure sectors – both domestically and internationally. CGC’s highly-motivated team of experienced consultants help clients throughout Australia deliver major projects like this by bringing in the best candidates and talent. To be involved in projects or to attract candidates that are changing and improving Australia’s infrastructure, just like the Circular Quay Precinct Renewal, connect with CGC today.